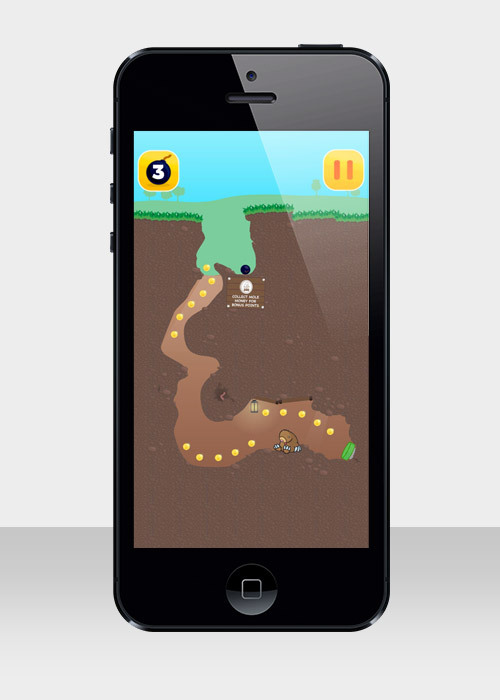 In order to demonstrate the mobile app design services at Media Wow, Johnny began developing ideas for this simple and addictive game. With the working title ‘Bomb-a-mole’, the concept was simple. The player must set their bomb fuse length then roll the explosive down a series of tunnels to find and destroy the pesky mole below. 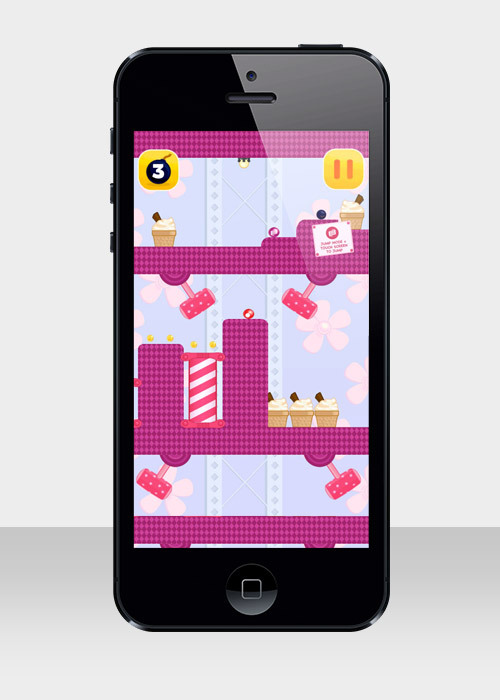 Successfully finishing a level will record the player’s performance and unlock the next level. Levels vary in complexity with additional obstacles coming into play as you progress. 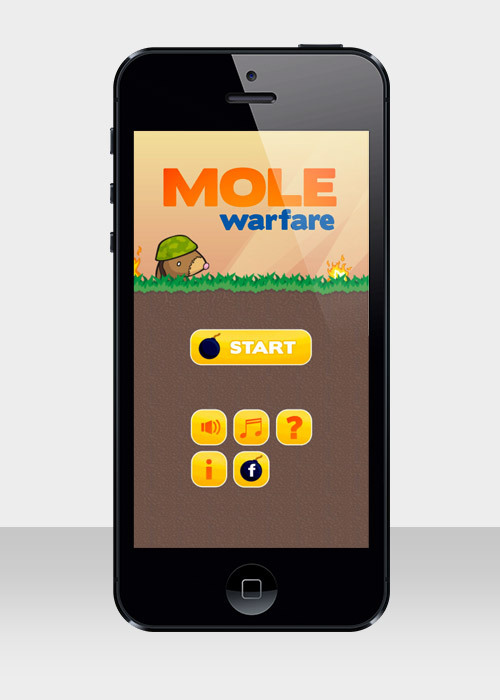 By the time the finished game was released the title had changed to Mole Warfare. Many improvements were made over the course of the project, particularly during a very useful beta testing stage. As well as a larger viewing area, the general physics of the game were much improved and the interface optimised to help new players get started. With the release of the CS6 Creative Suite, especially with it’s mobile app friendly additions to Flash, Johnny set about building the game using actionscript 3 and the AIR runtime. 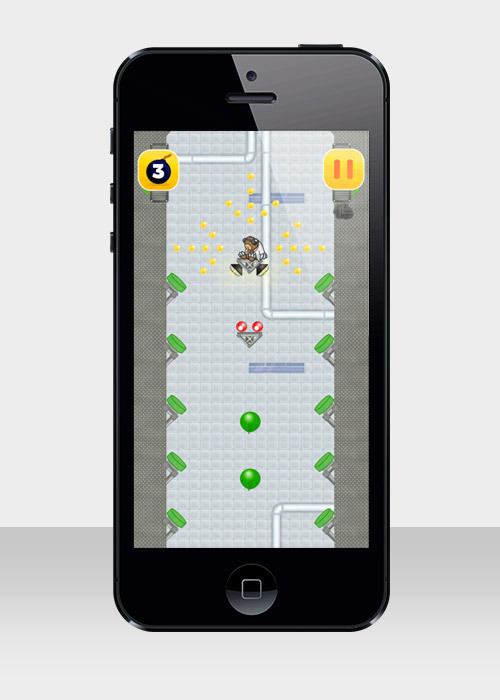 Initially the game was released for Android devices with an iOS version following soon afterwards. The game hit the top of the indie game charts on the Samsung app store and has received some great feedback from players. Hopefully, with an effective marketing campaign, we will attract new players and drive the sales up.